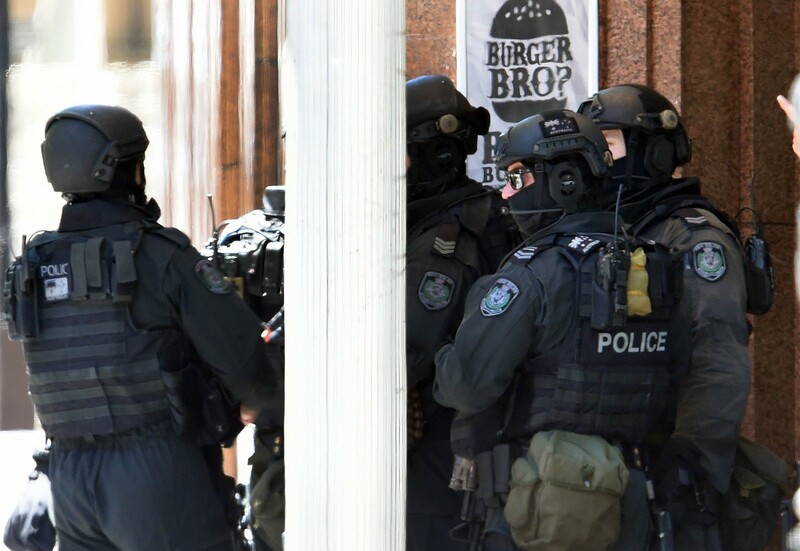 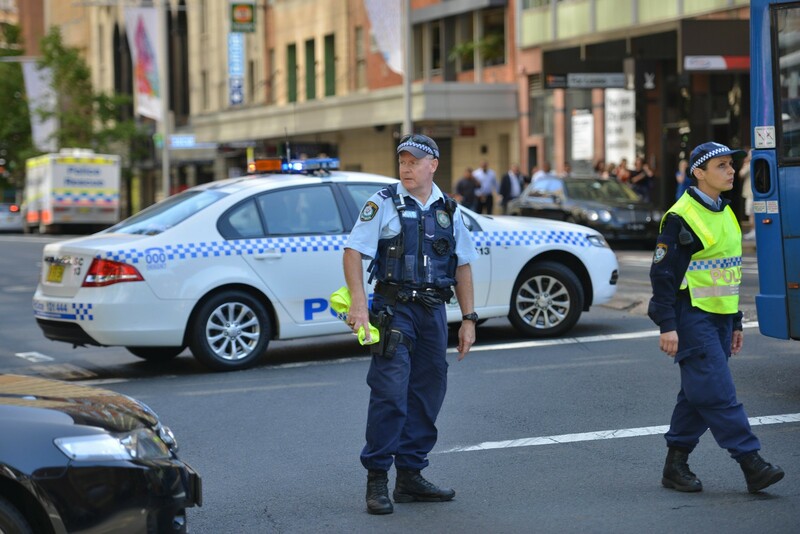 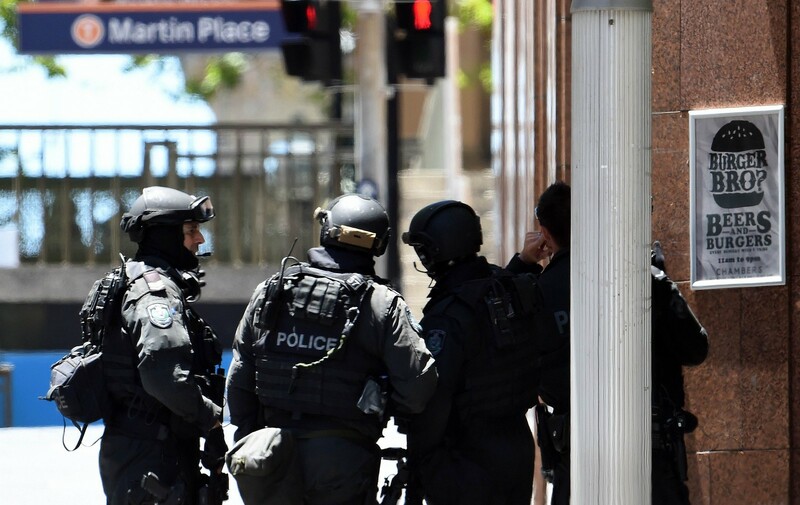 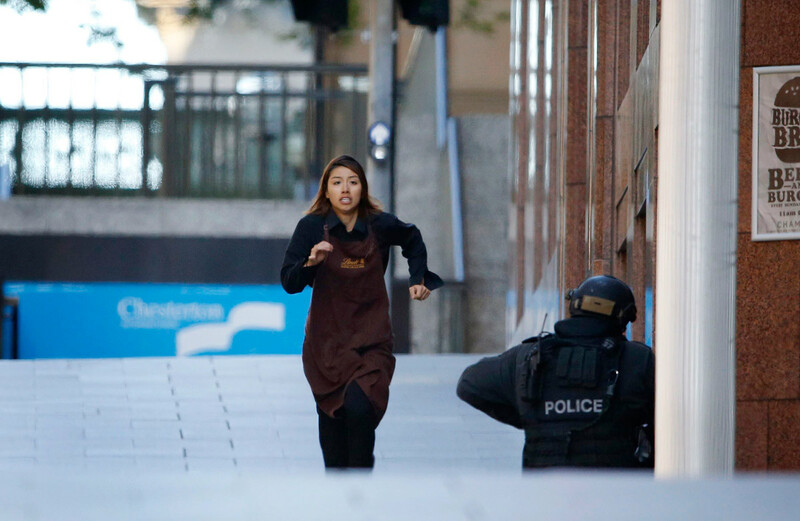 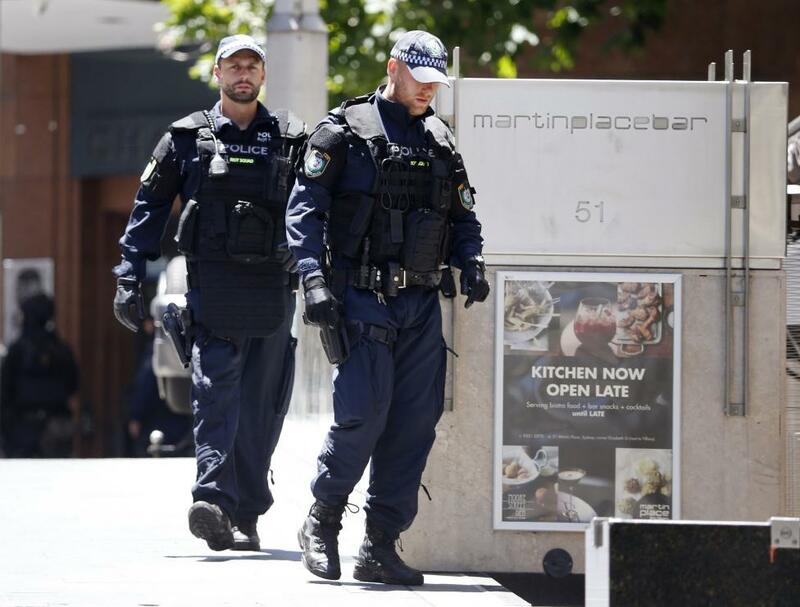 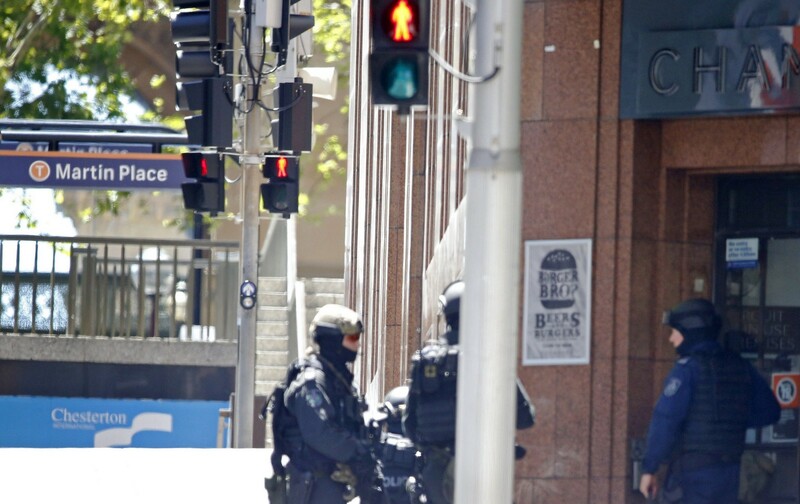 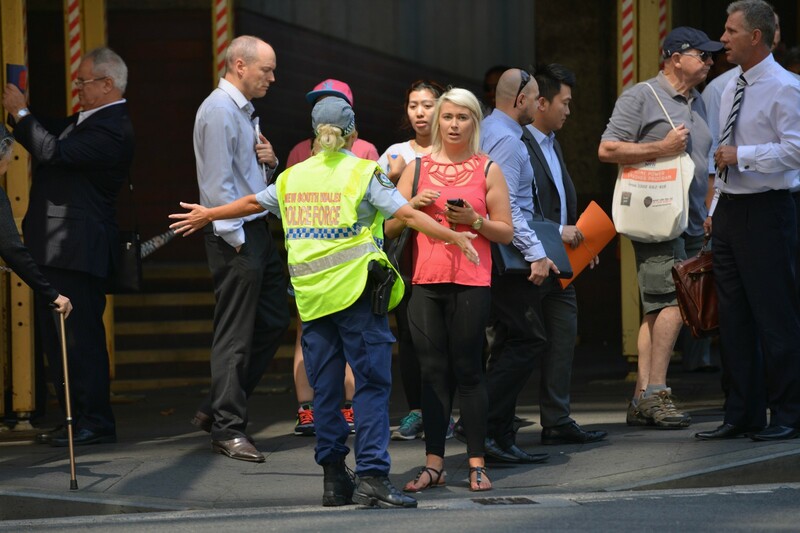 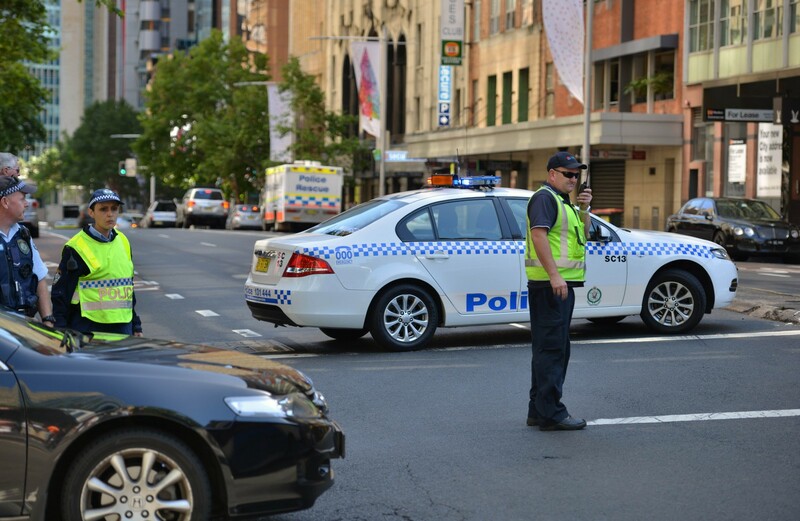 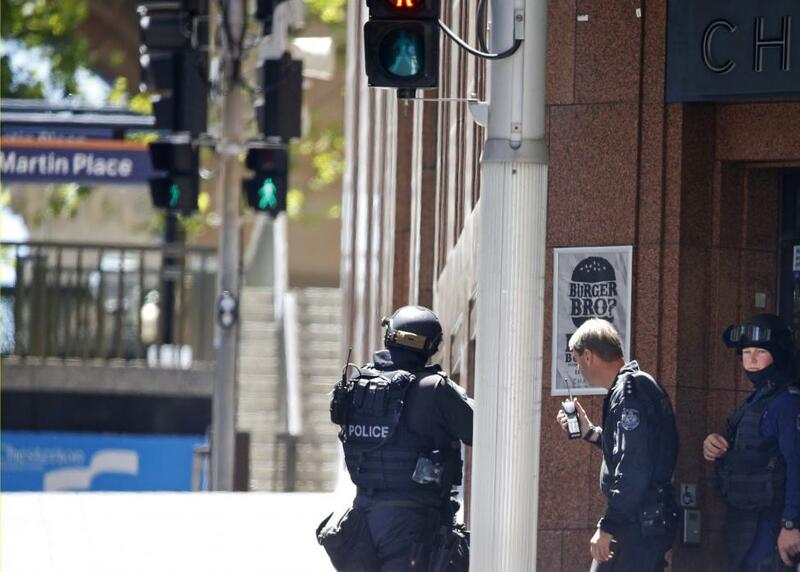 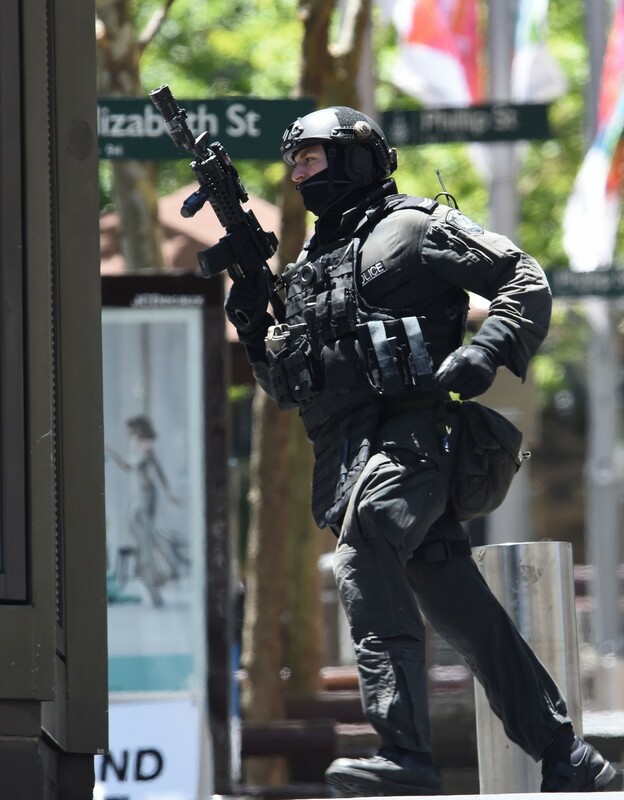 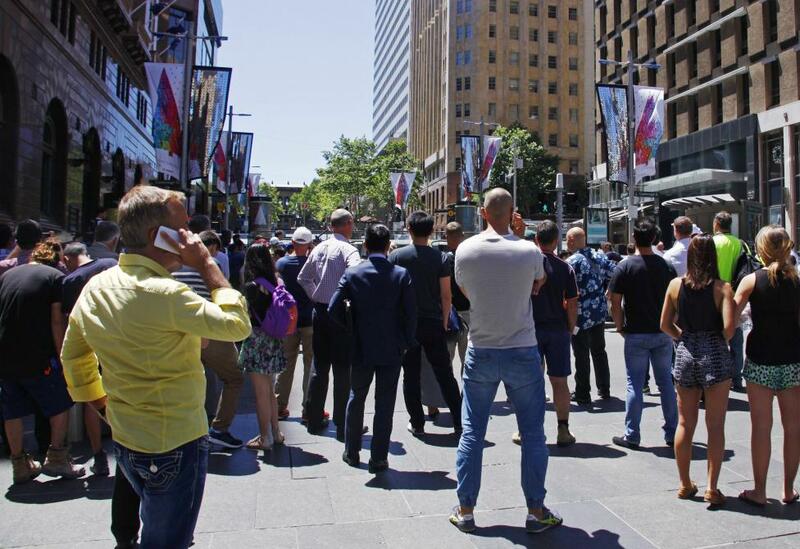 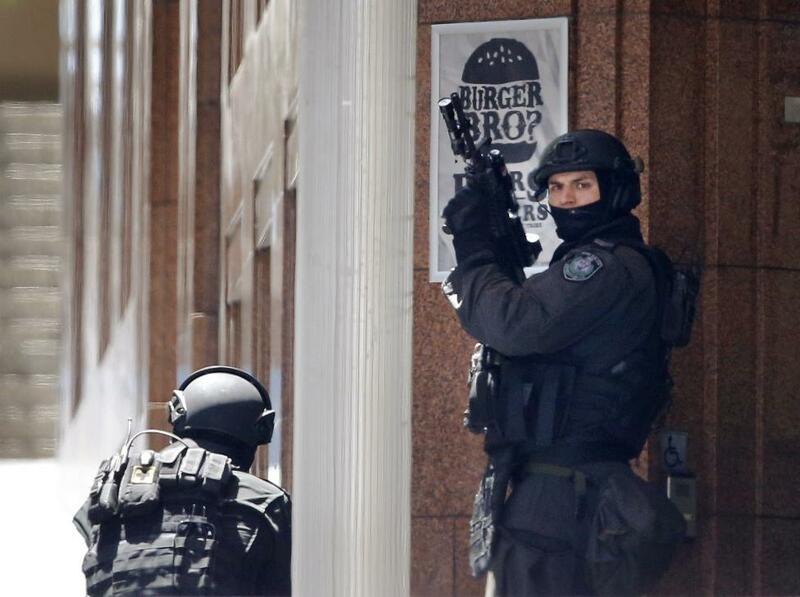 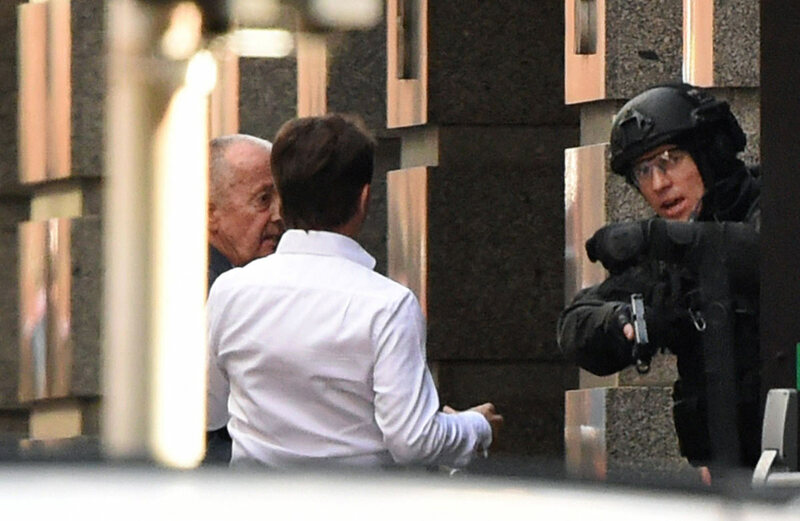 SYDNEY - Two hostages killed in a siege at a central Sydney cafe Tuesday were hailed as heroes "willing to lay down their lives so others might live" in a church service mourning their deaths. 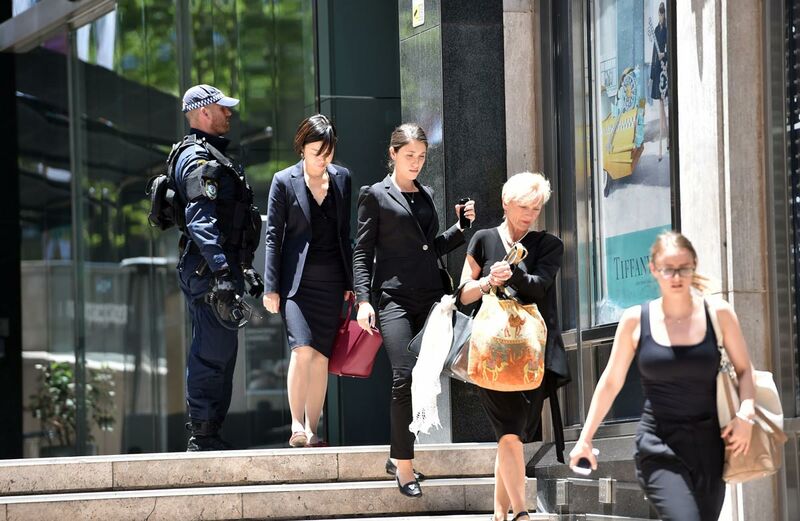 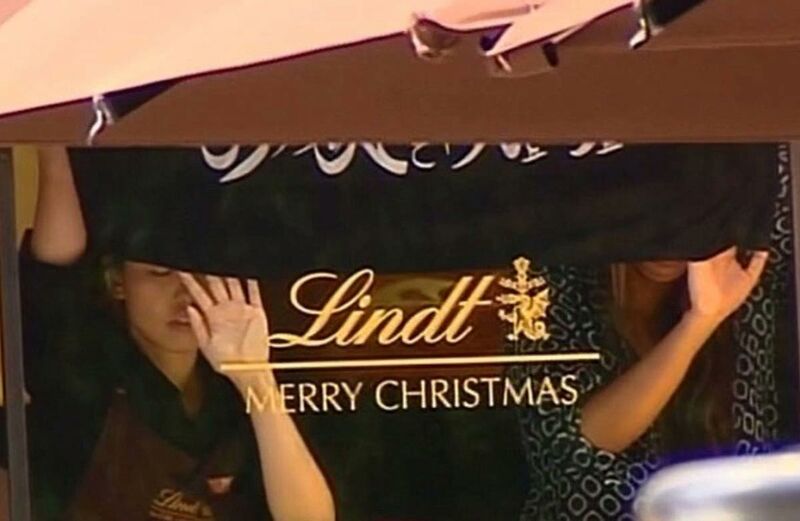 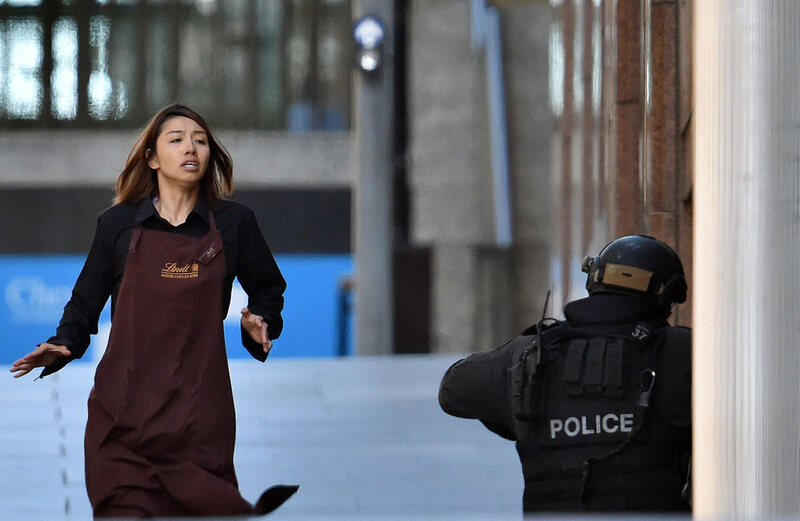 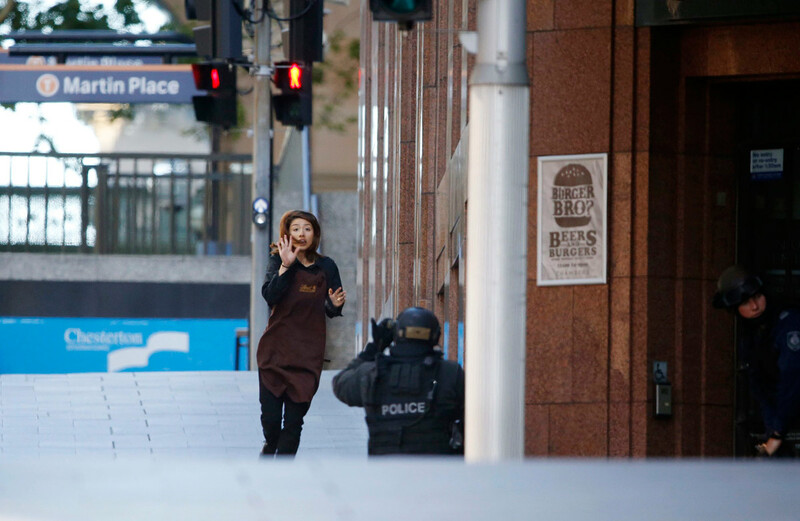 Tori Johnson, the 34-year-old manager of the Lindt chocolate cafe where the crisis unfolded, and 38-year-old barrister and mother-of-three Katrina Dawson died as heavily-armed police ended the 16-hour stand-off. 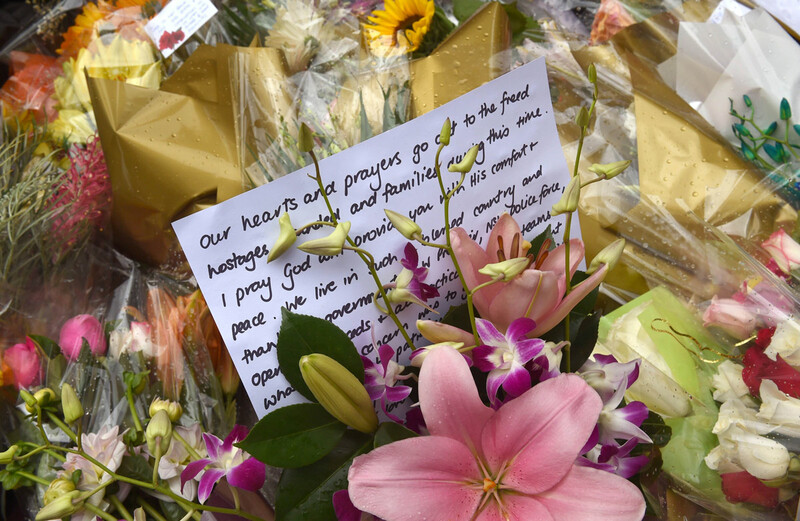 At a prayer service in St. Mary's Cathedral about 500 metres (547 yards) from the cafe, Archbishop Anthony Fisher spoke of how the "heart of our city is broken by the deaths of two innocents". 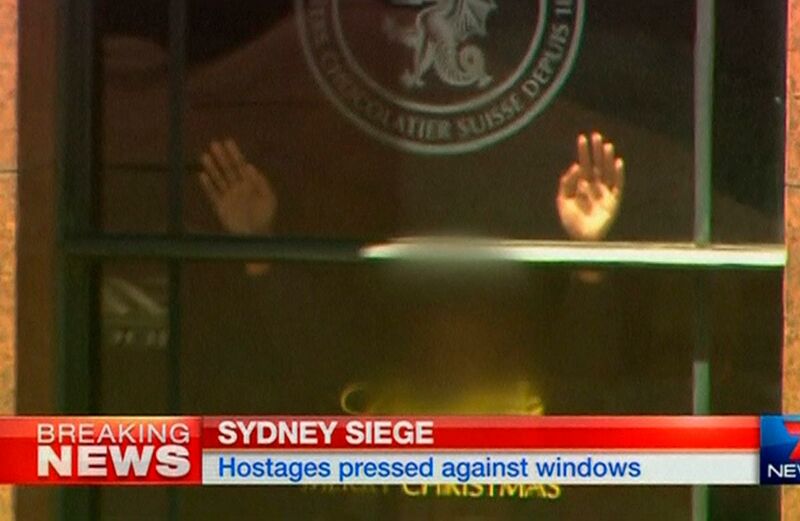 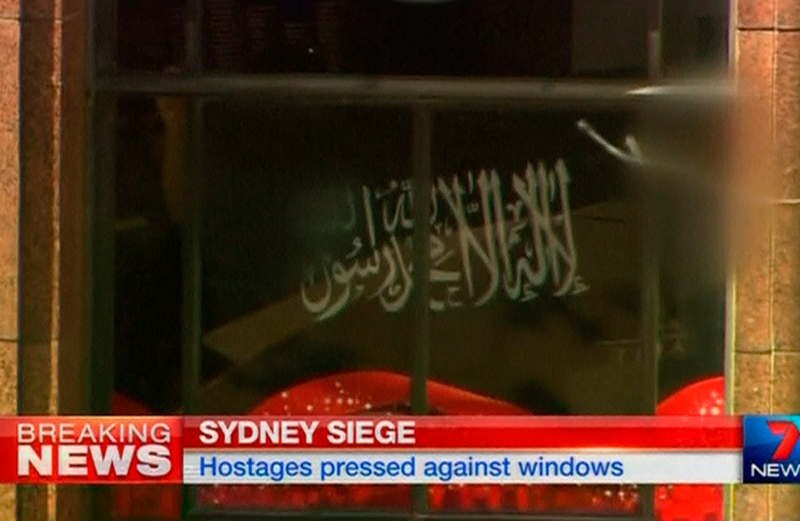 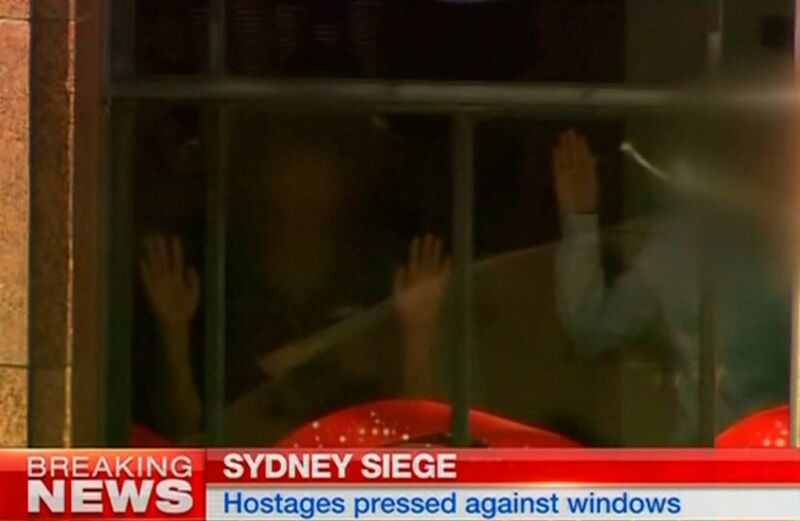 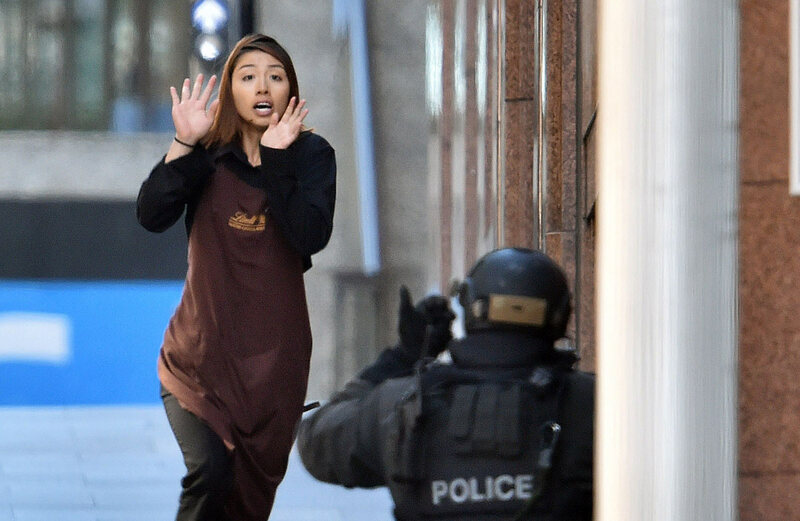 "Reports have emerged this morning of the heroism of the male victim of this siege," Fisher said. 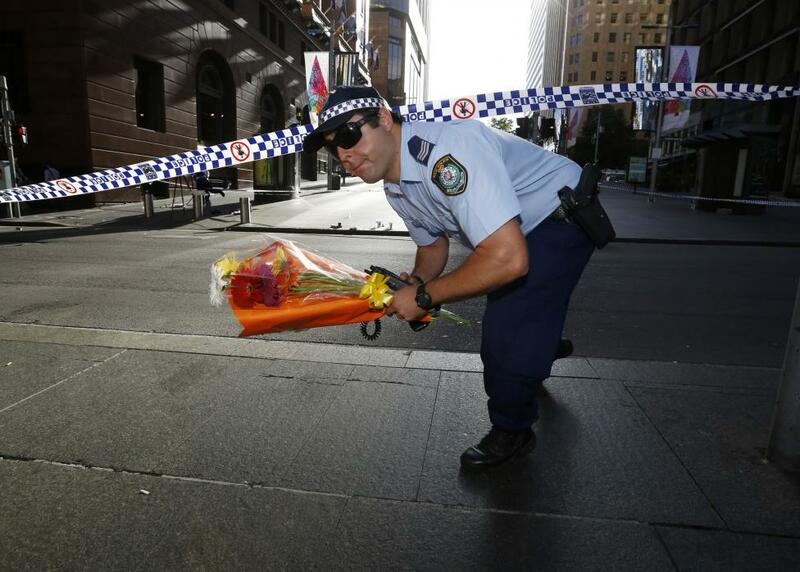 "Apparently seeing an opportunity Tori Johnson grabbed the gun, tragically it went off killing him. 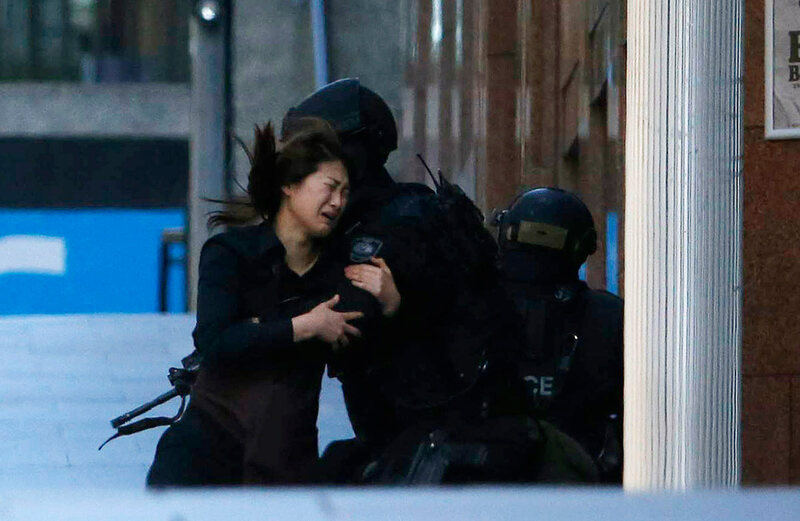 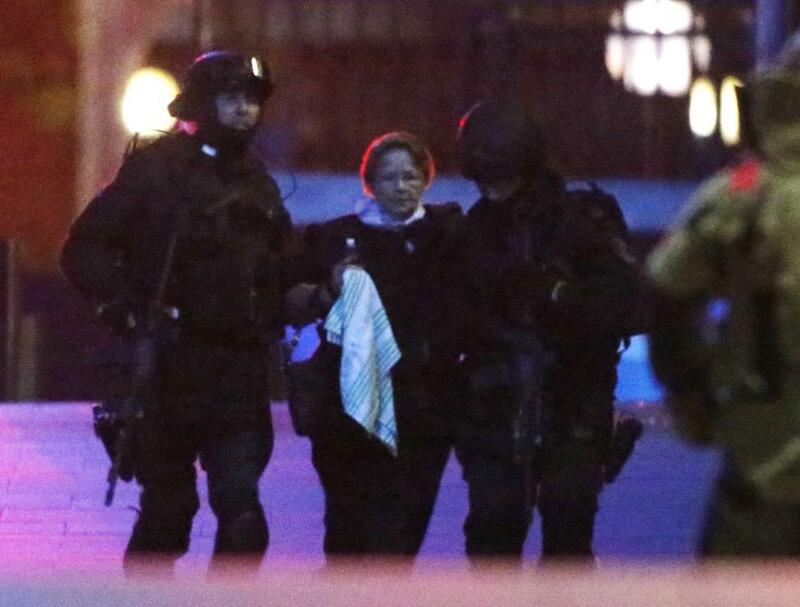 But it triggered the response of the police and eventual freedom for most of the hostages. 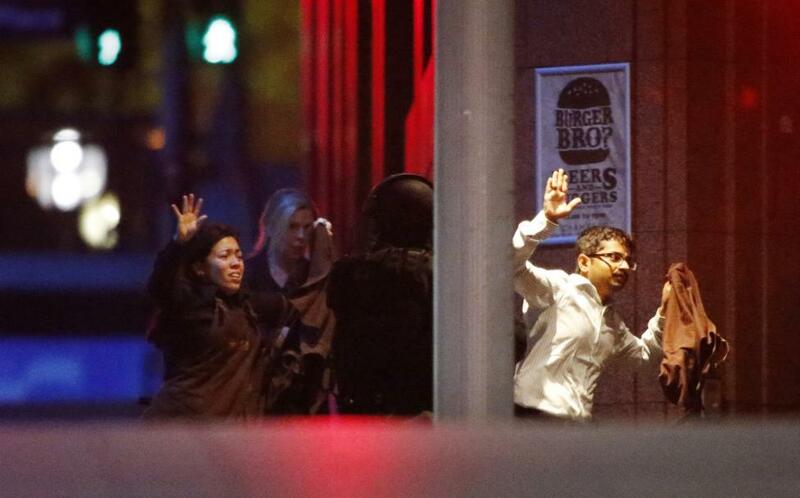 "Reports have also emerged that Katrina Dawson was shielding her pregnant friend from gunfire. 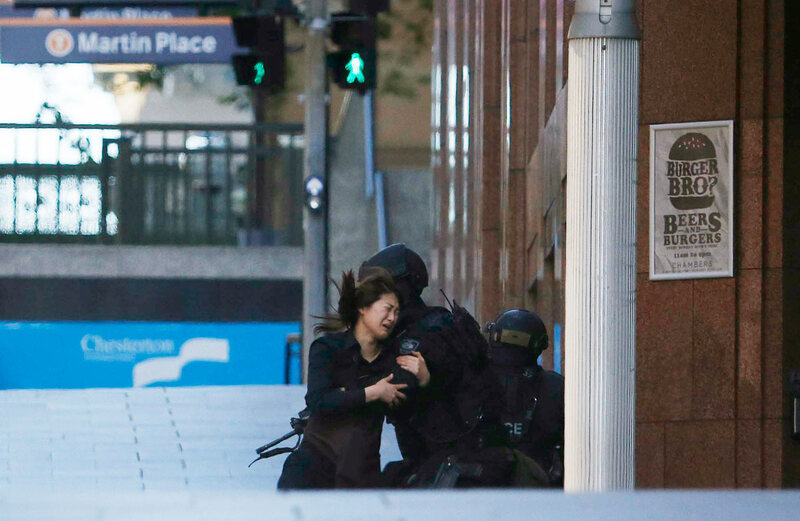 These heroes were willing to lay down their lives so others might live." 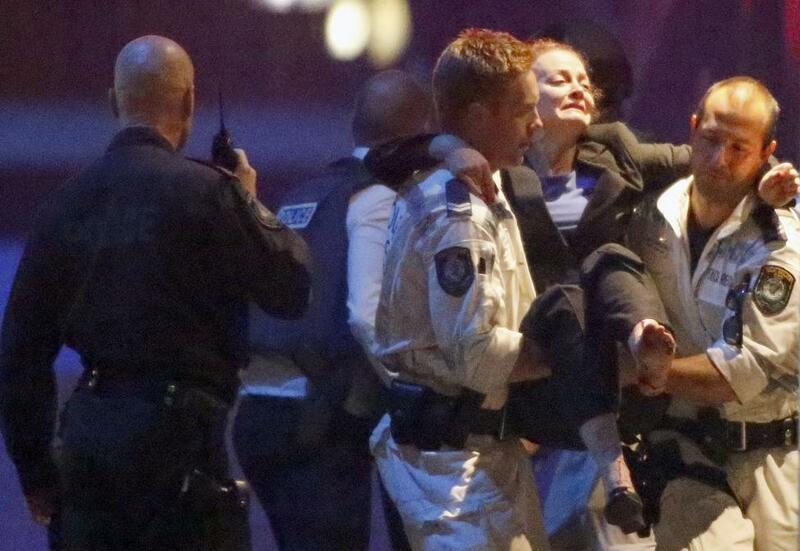 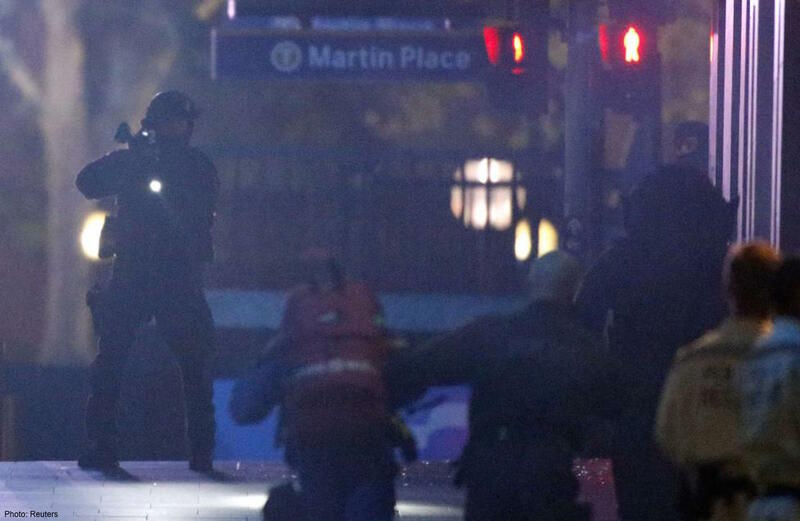 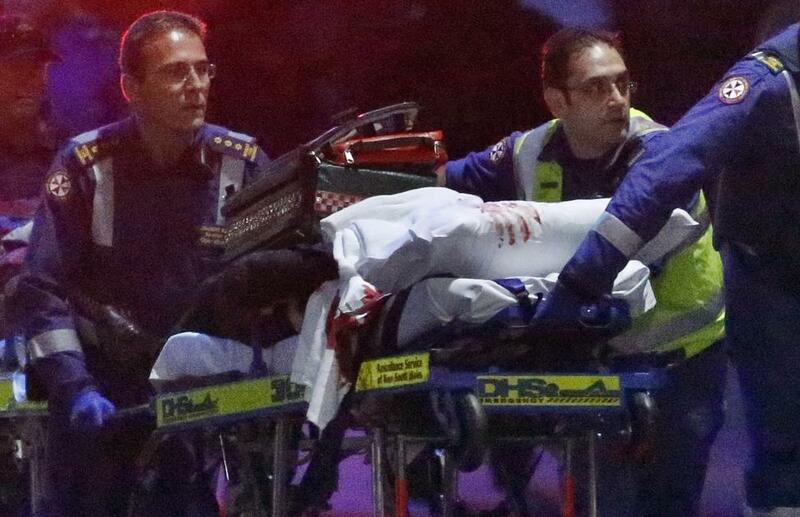 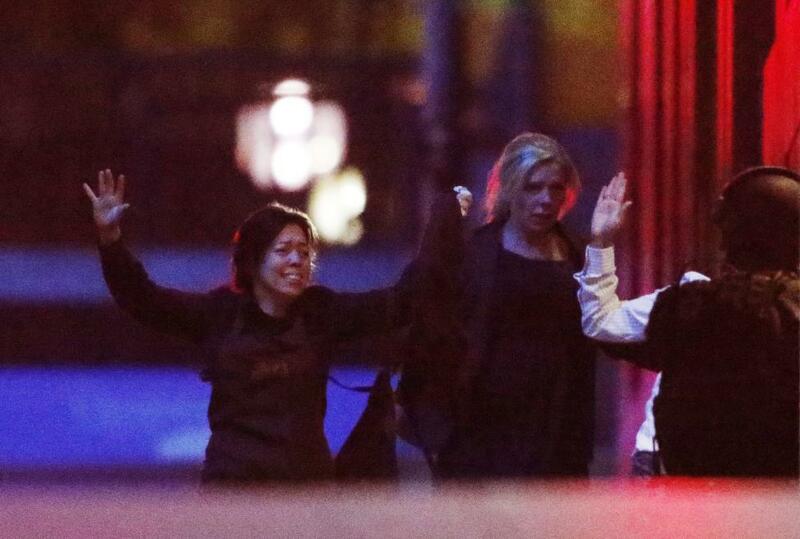 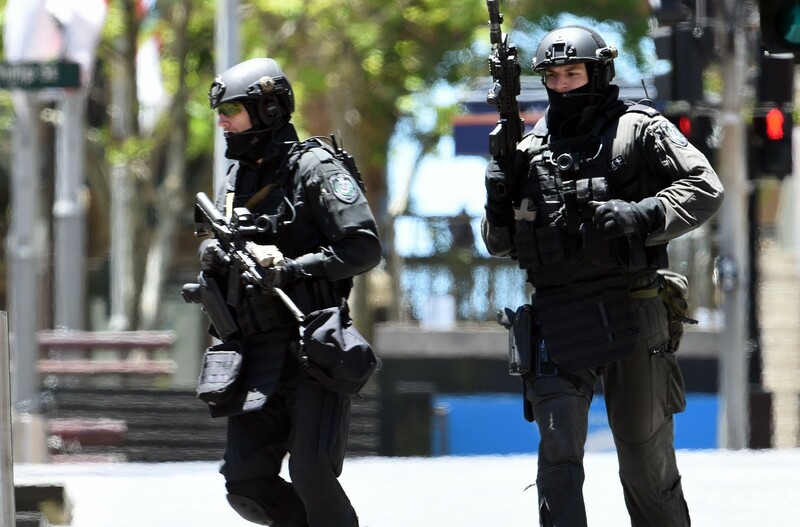 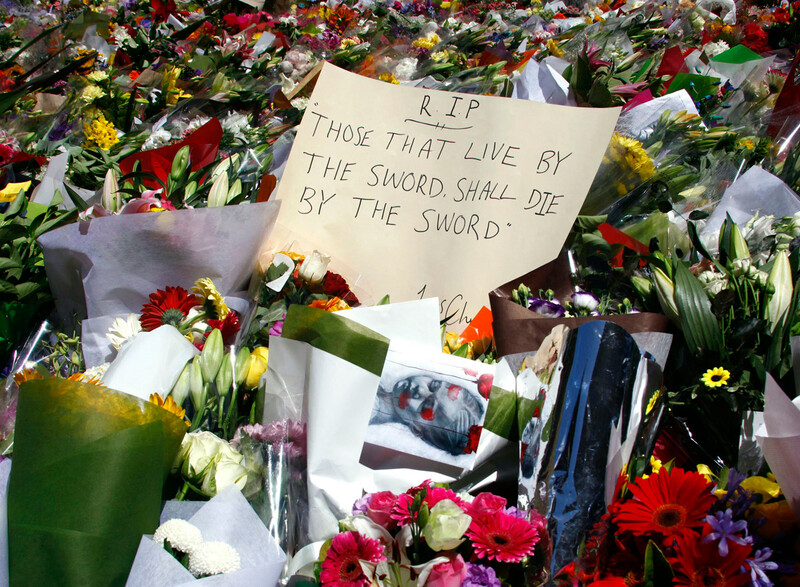 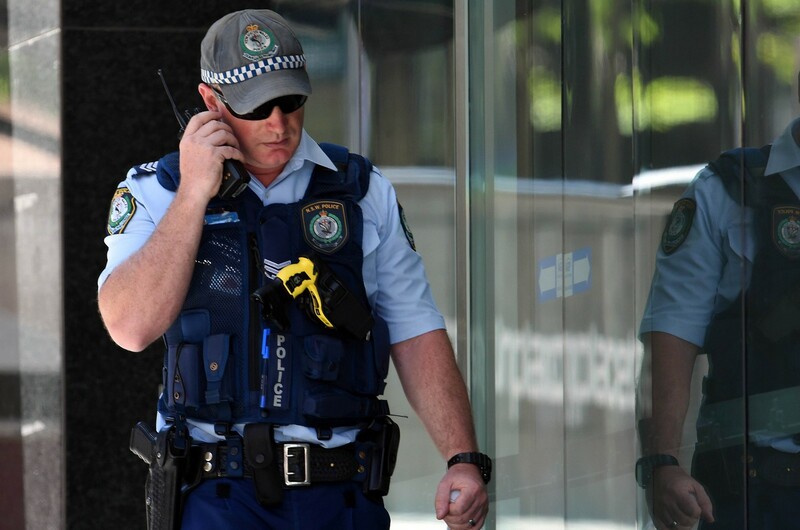 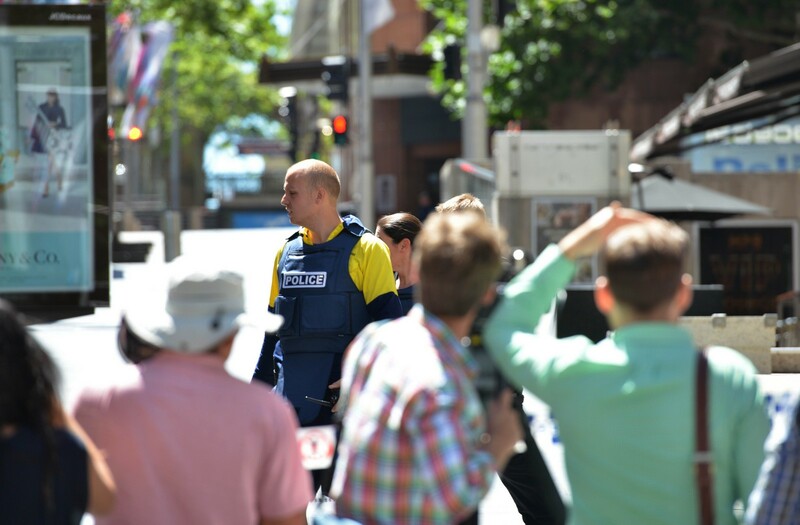 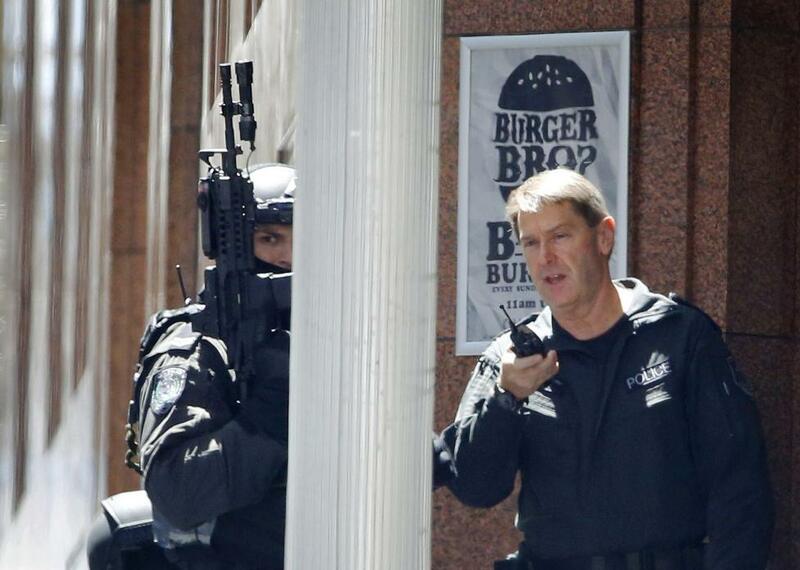 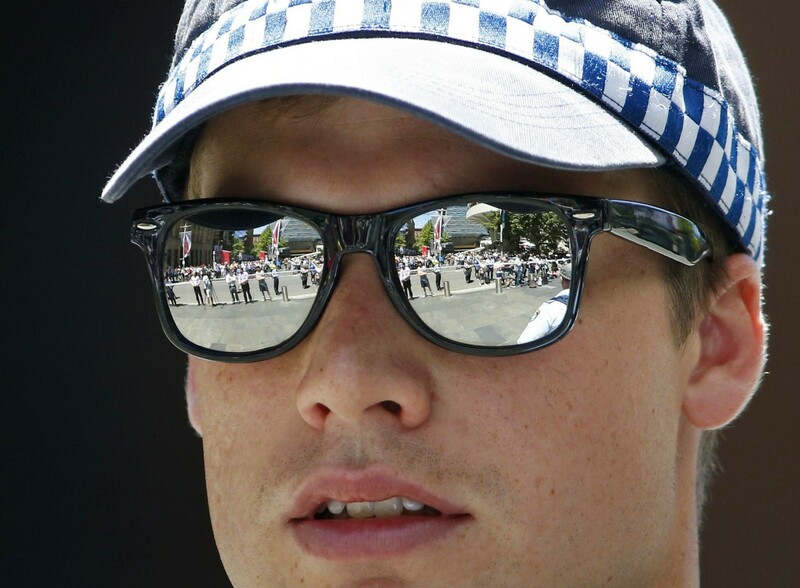 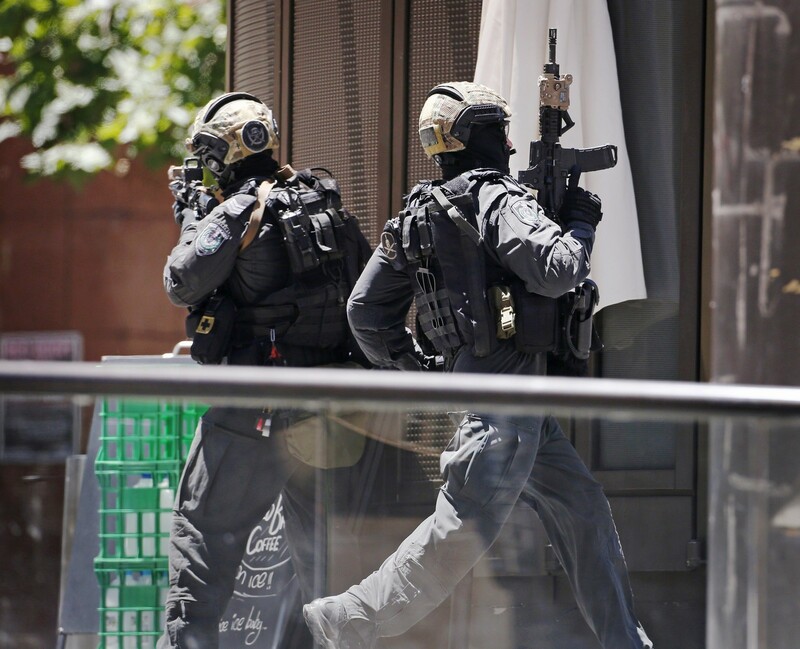 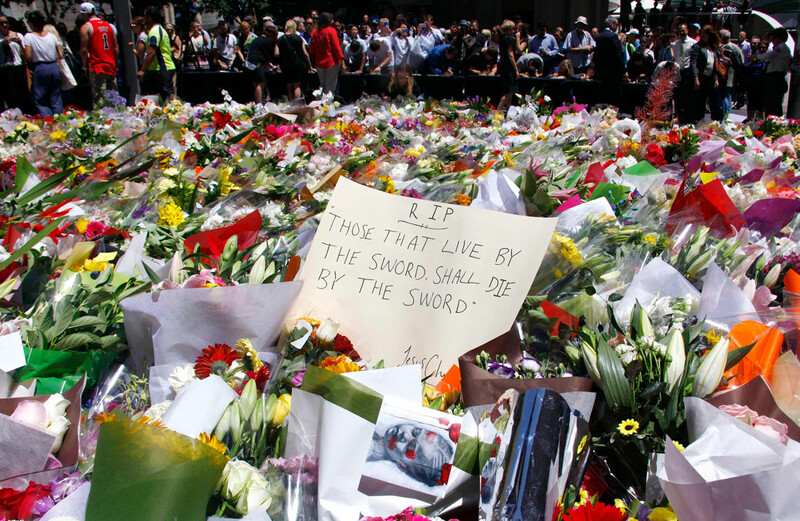 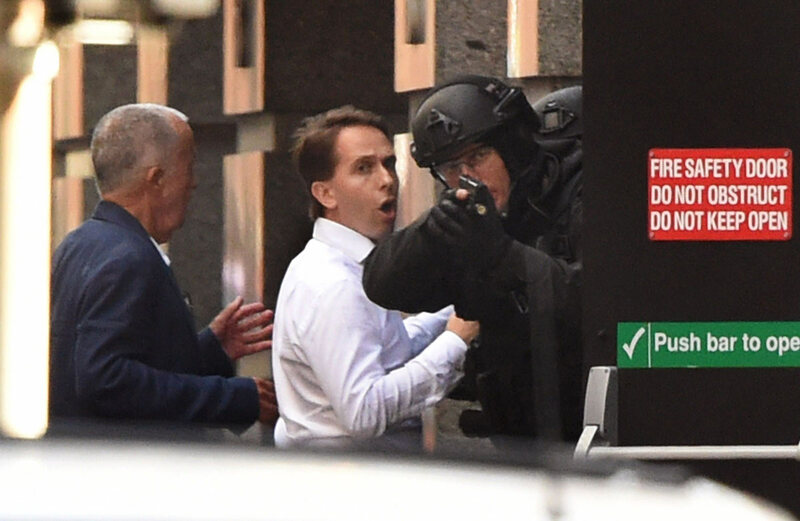 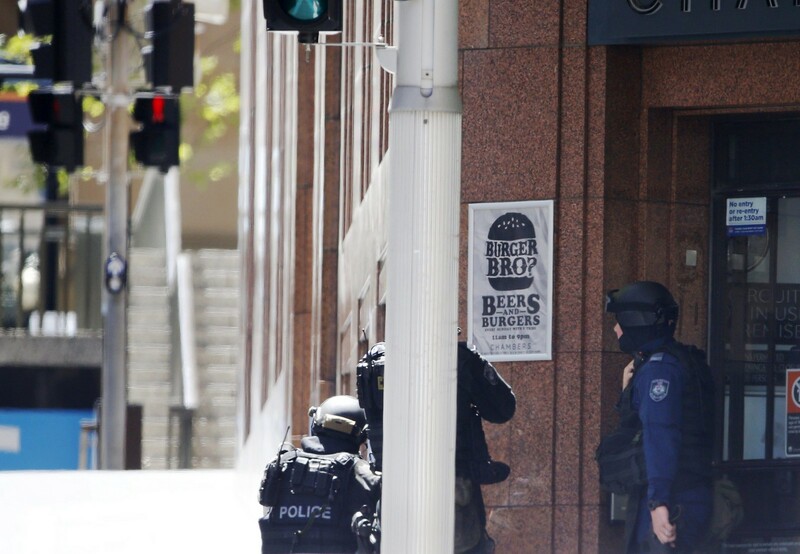 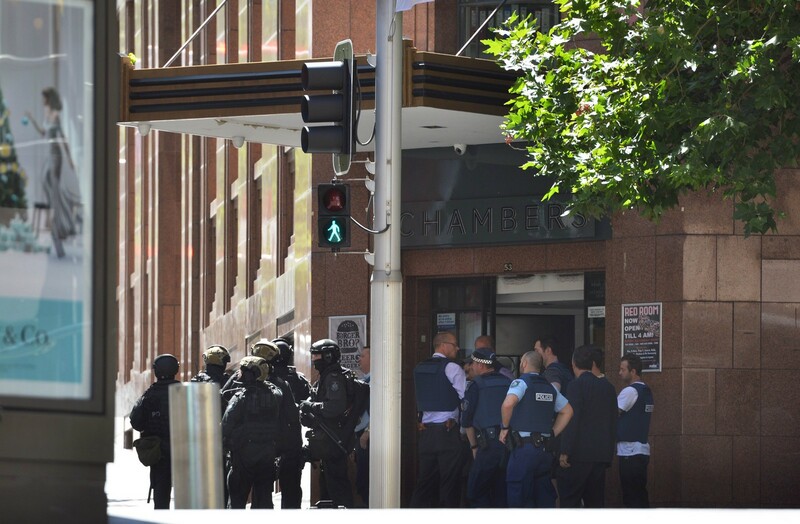 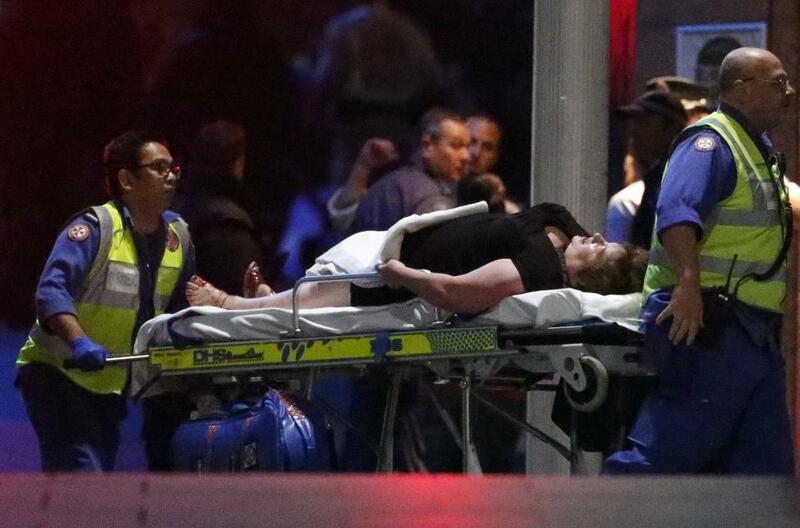 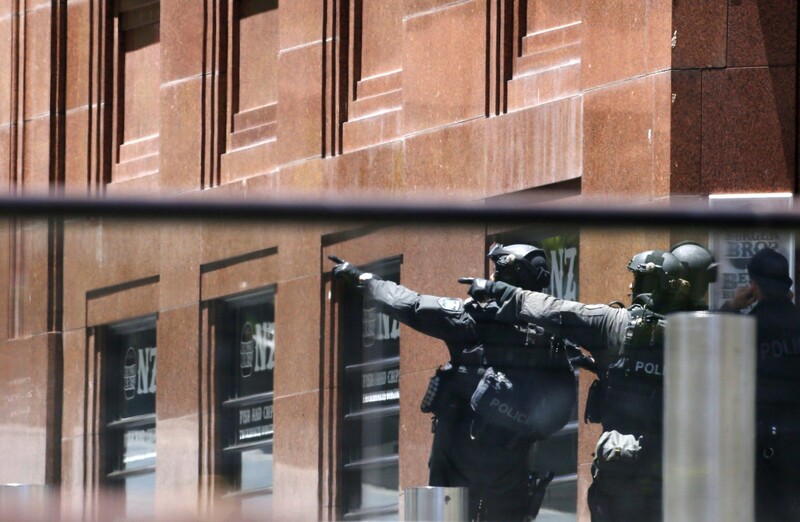 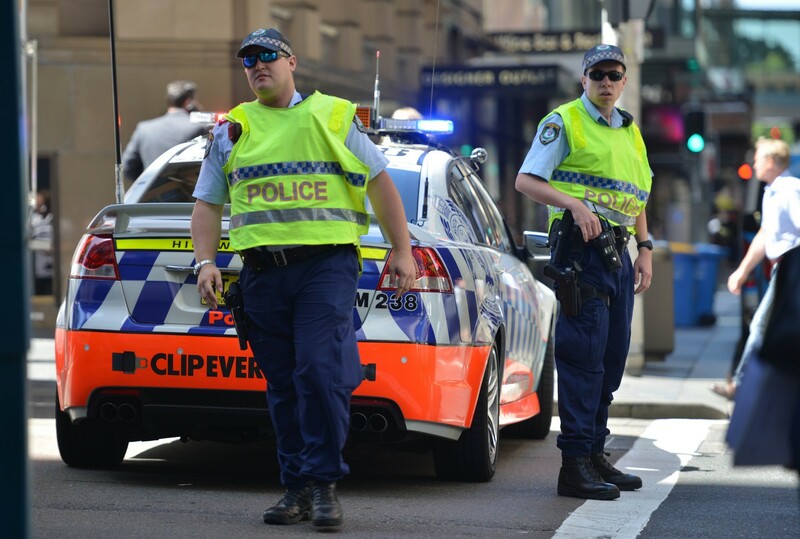 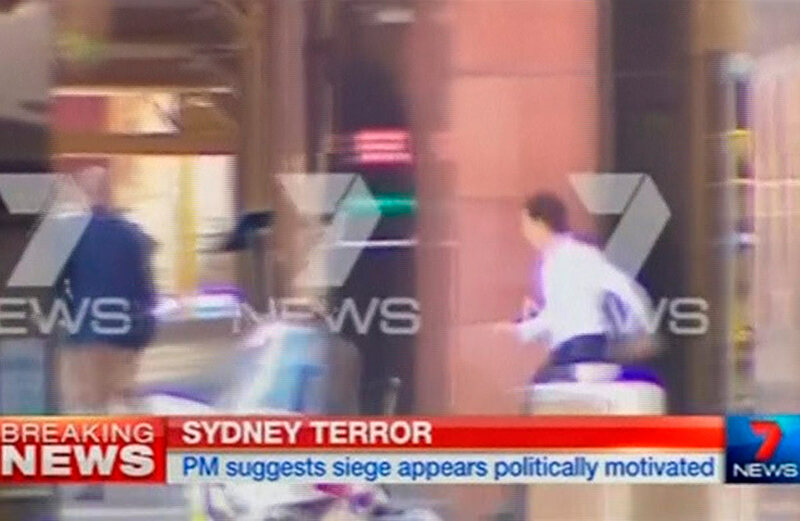 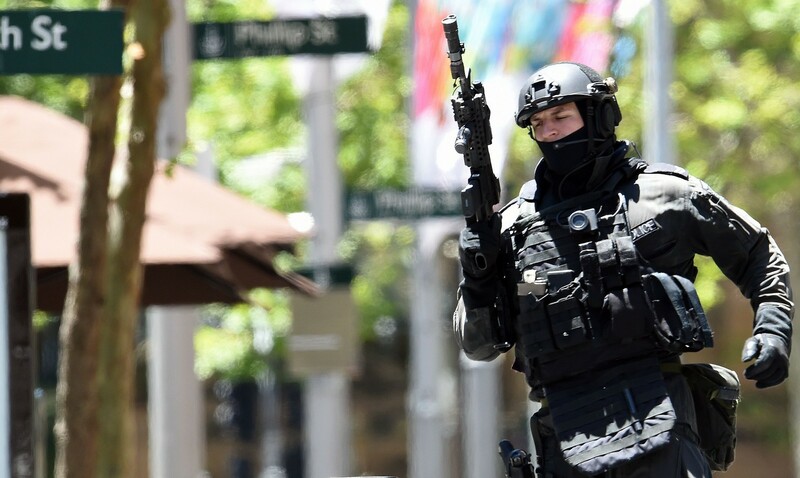 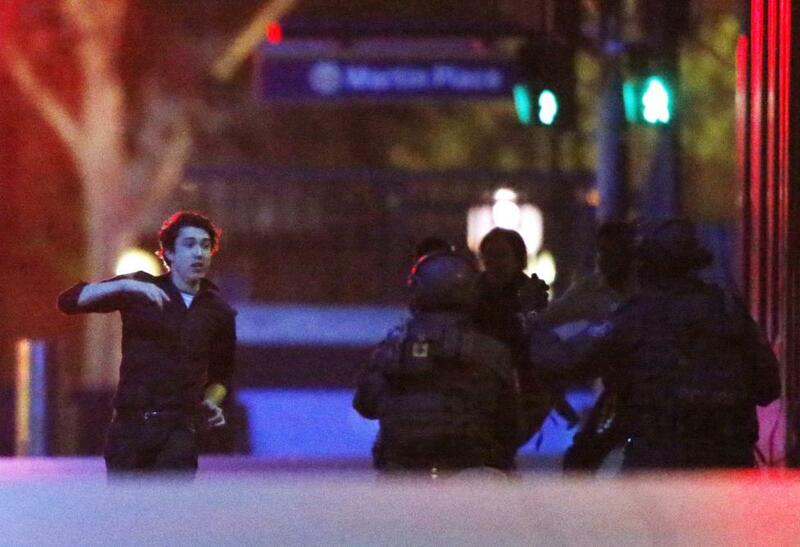 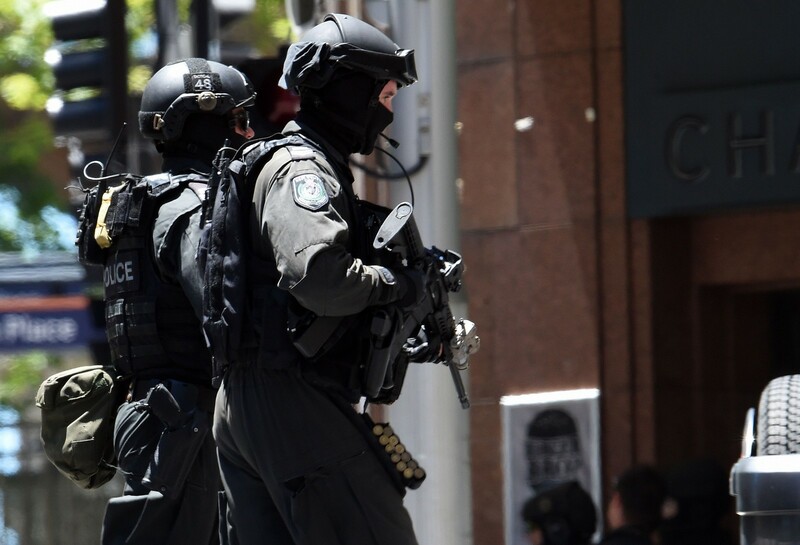 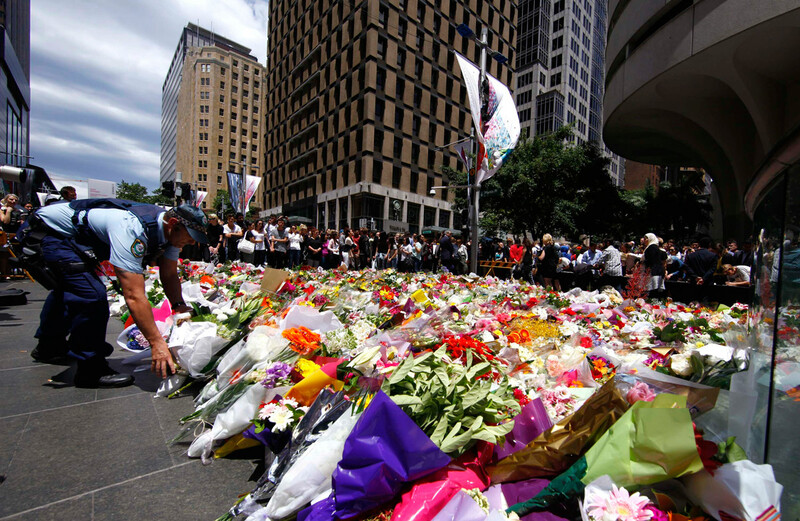 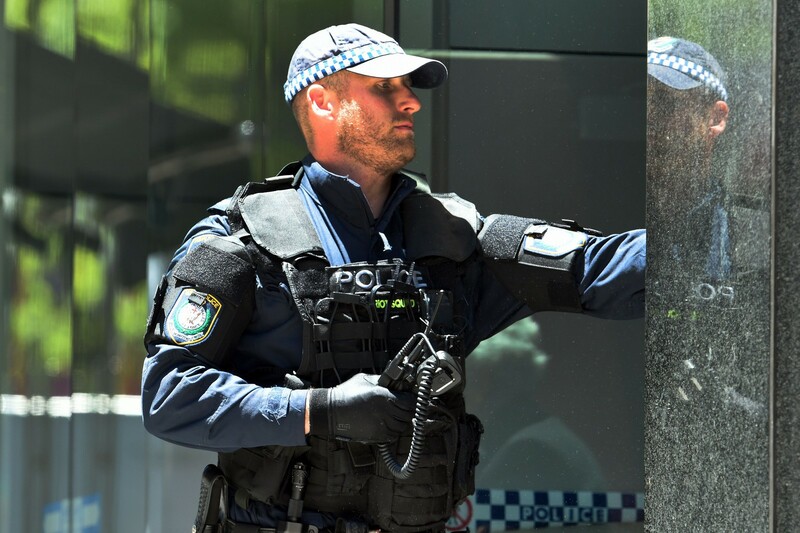 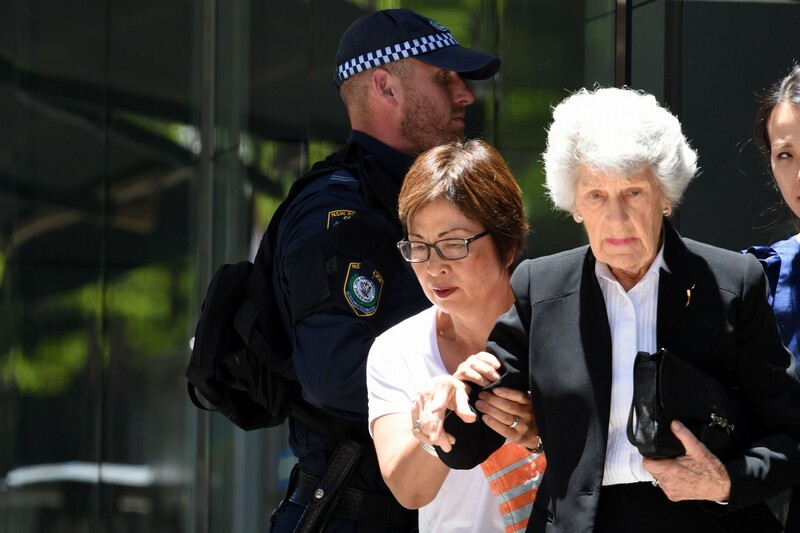 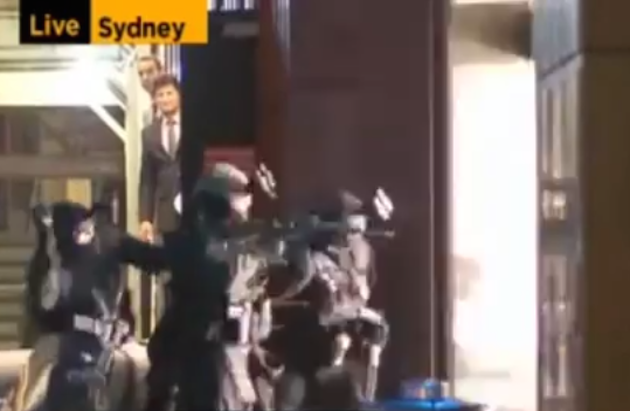 New South Wales Deputy Police Commissioner Catherine Burn did not confirm reports of Johnson's tussle with the gunman, adding that investigators were still compiling the chain of events that led to the siege ending. 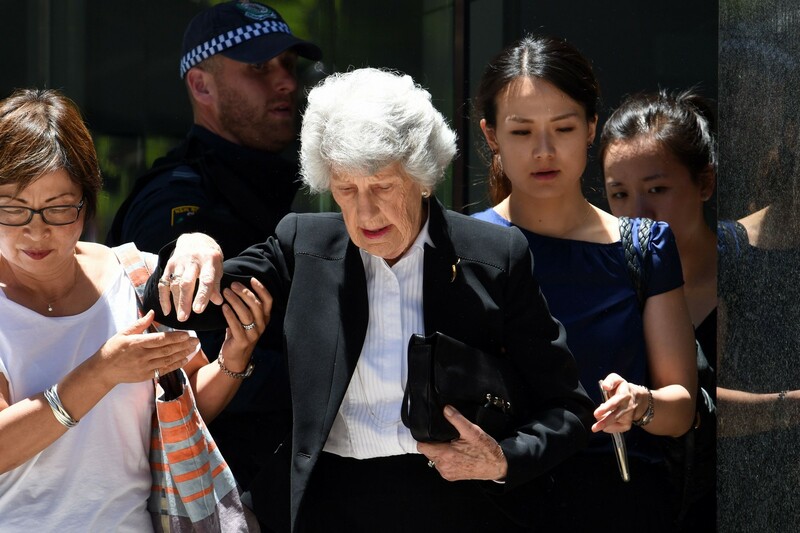 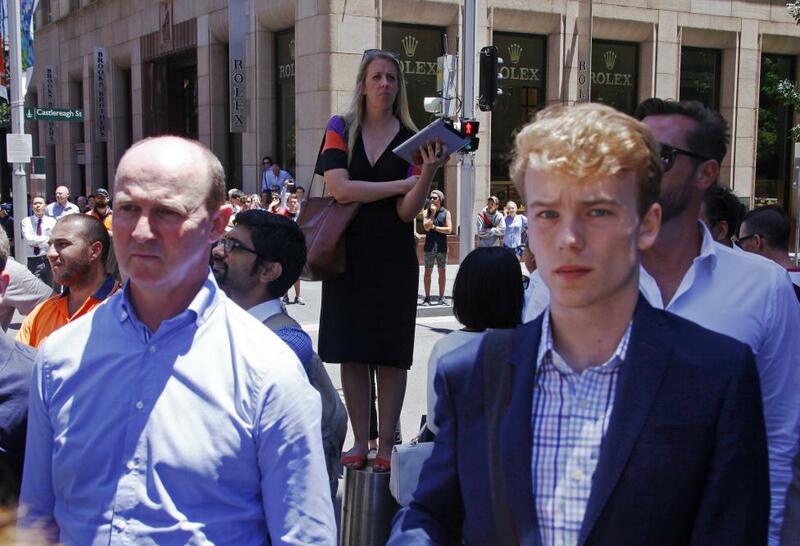 Johnson's parents, in a statement shared via Sydney broadcast journalist Ben Fordham, praised their "beautiful boy" and called for everyone to "pray for peace on Earth". 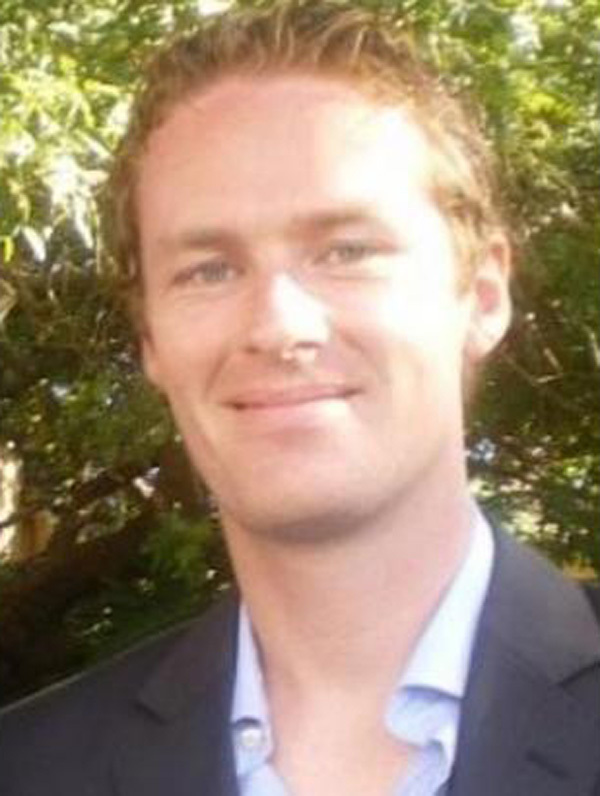 "We are so proud of our beautiful boy Tori, gone from this earth but forever in our memories as the most amazing life partner, son and brother we could ever wish for," the statement said. 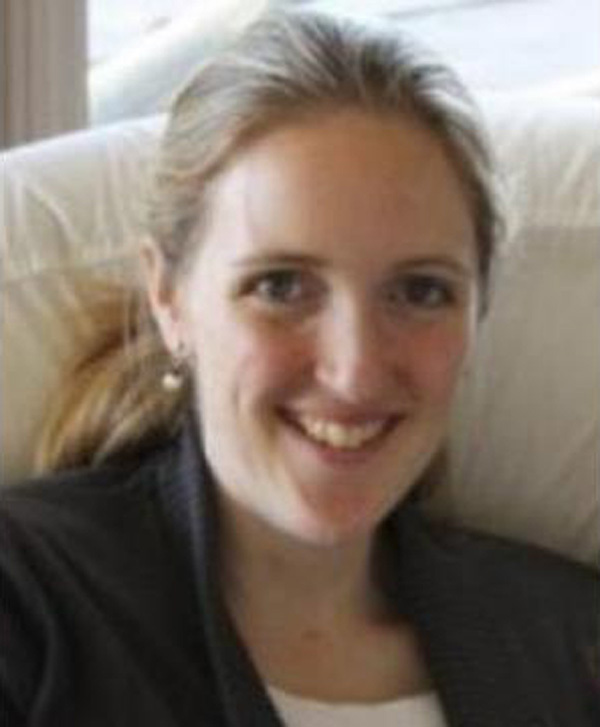 "We feel heartfelt sorrow for the family of Katrina Dawson. 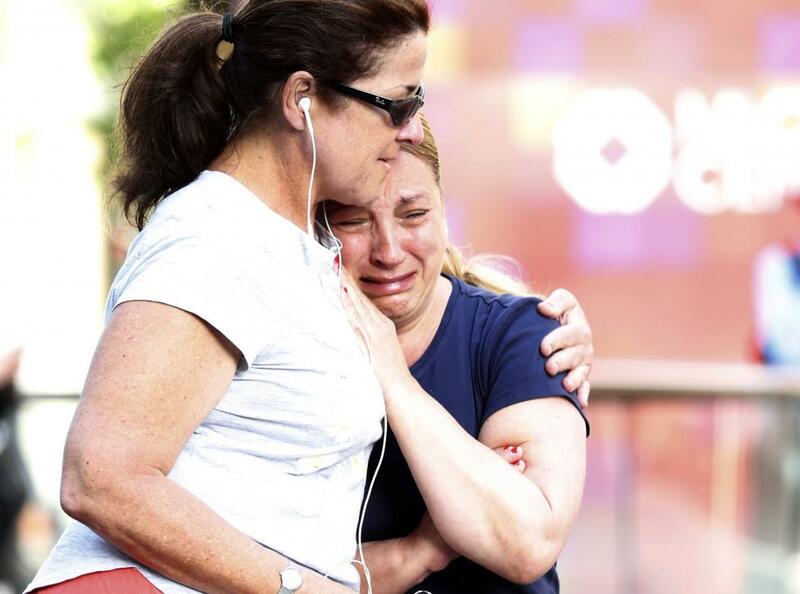 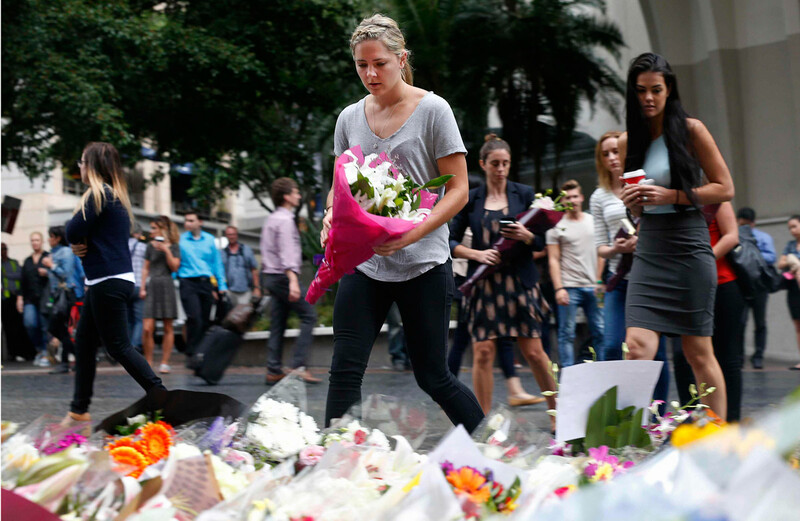 "We'd like to thank not only our friends and loved ones for their support, but the people of Sydney; Australia and those around the world for reaching out with their thoughts and prayers." 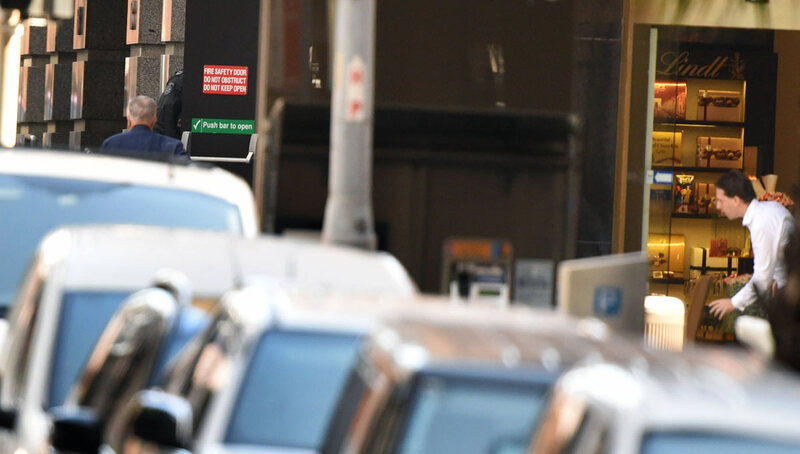 Dawson, a rising star in the legal fraternity, would be greatly missed by her colleagues and friends, the NSW Bar Association said. 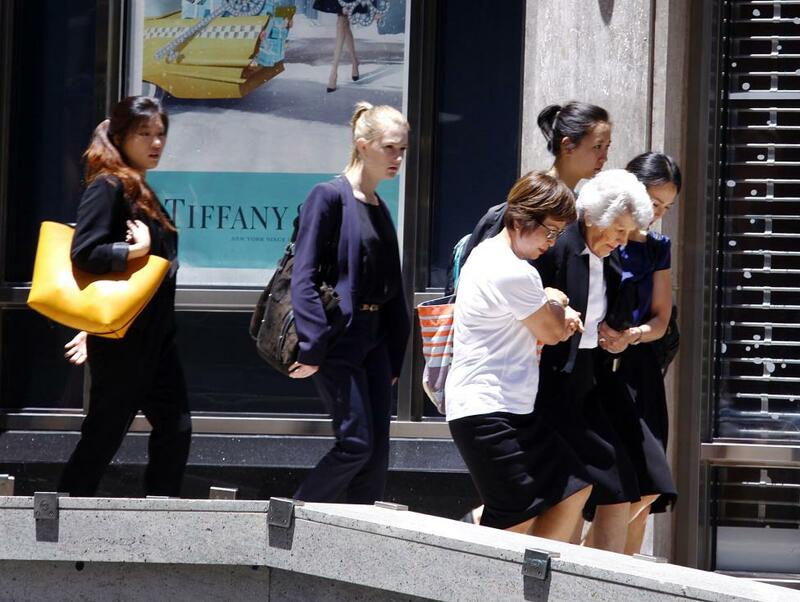 "Katrina was one of our best and brightest barristers who will be greatly missed by her colleagues and friends at the NSW Bar," it said in a statement. 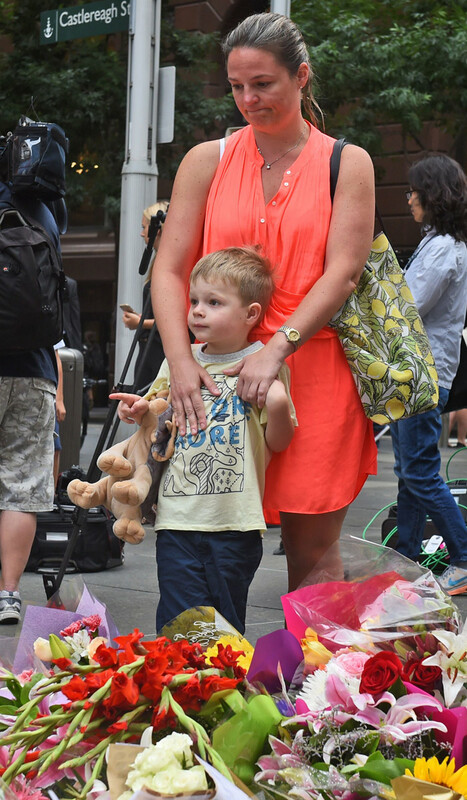 "She was a devoted mother of three children, and a valued member of her floor and of our bar community." 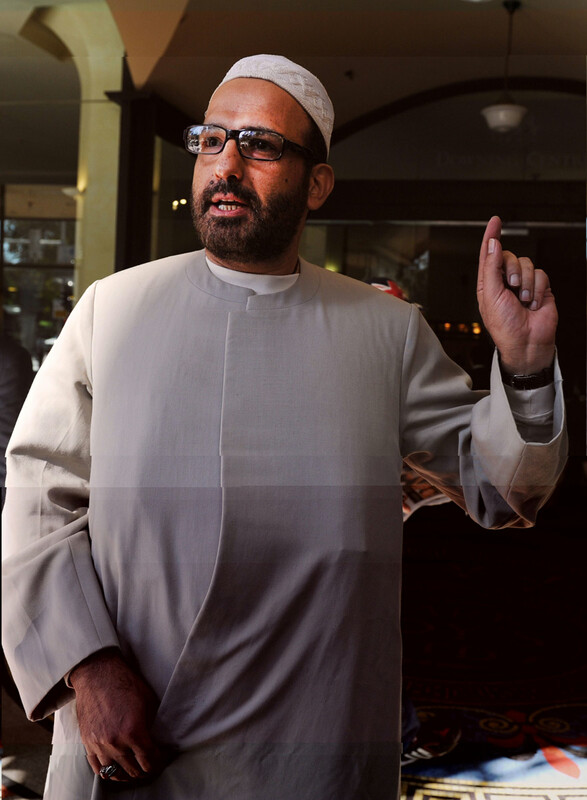 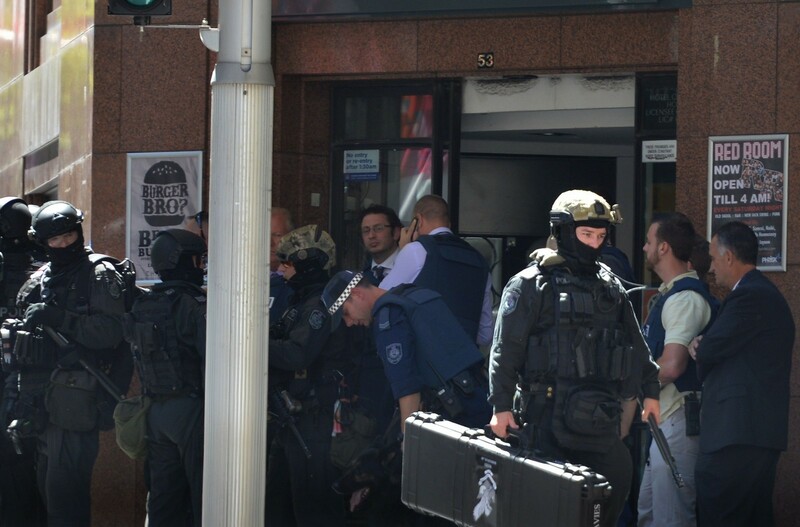 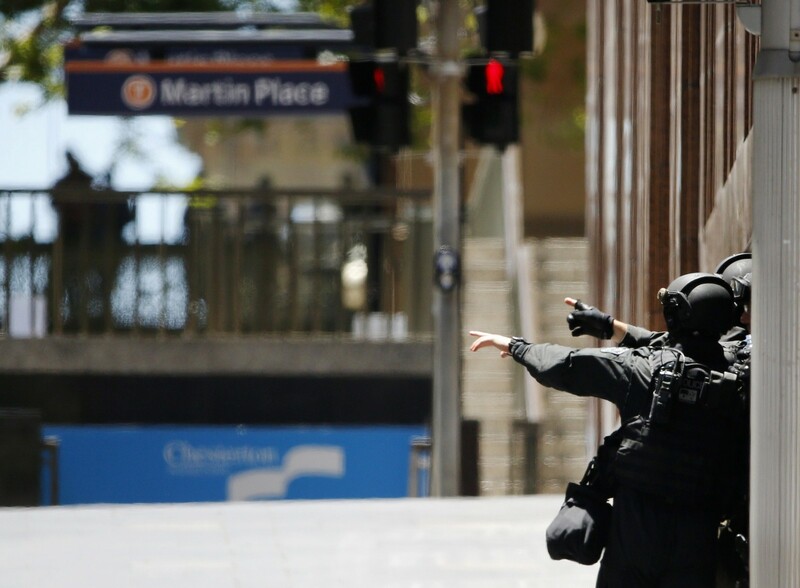 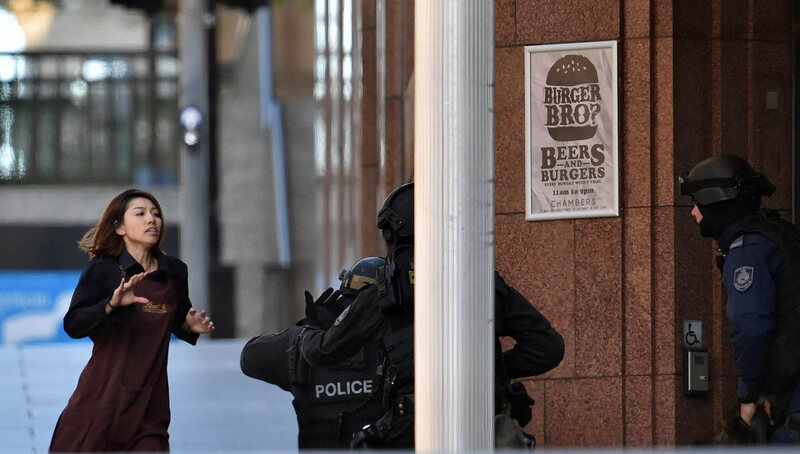 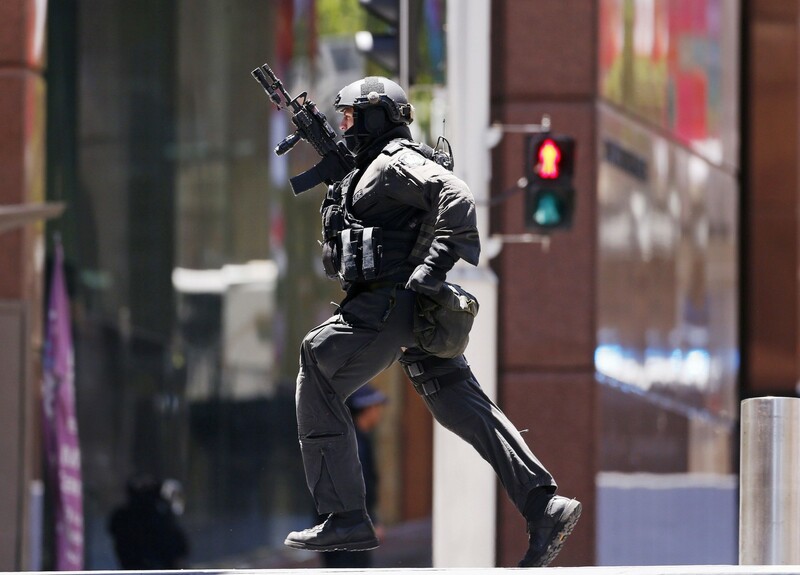 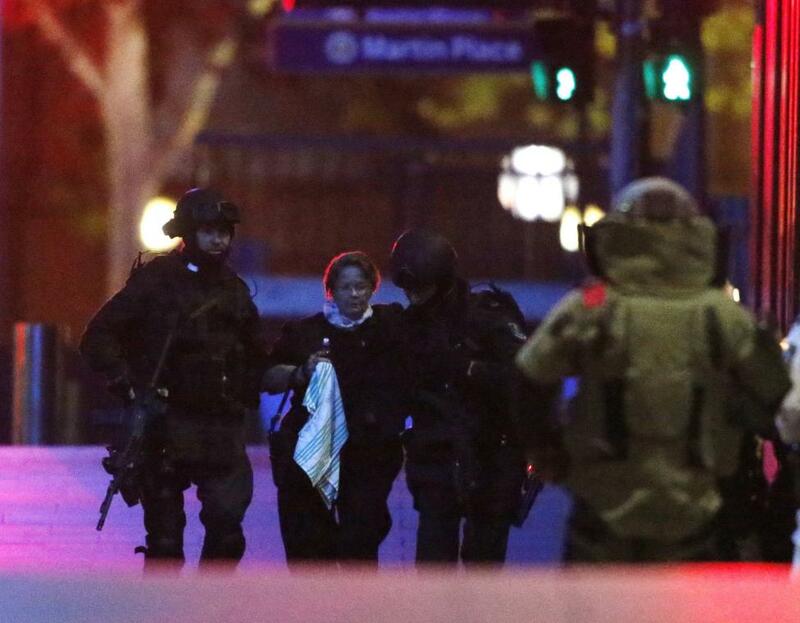 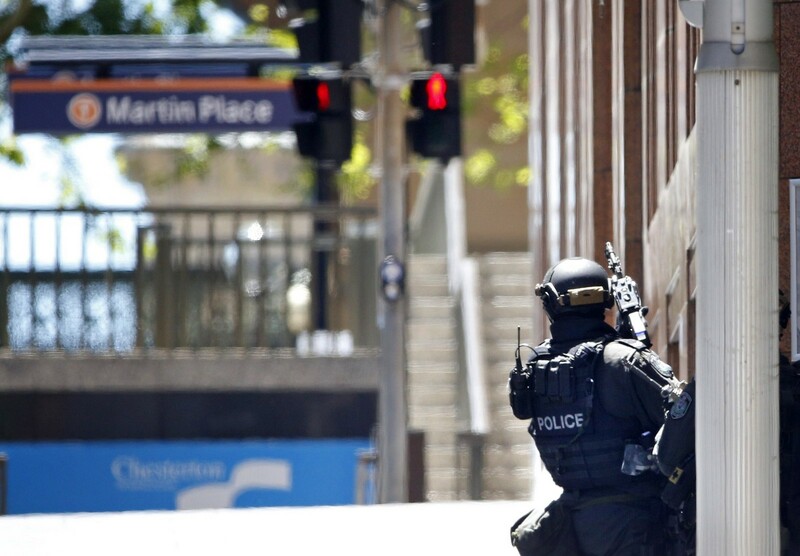 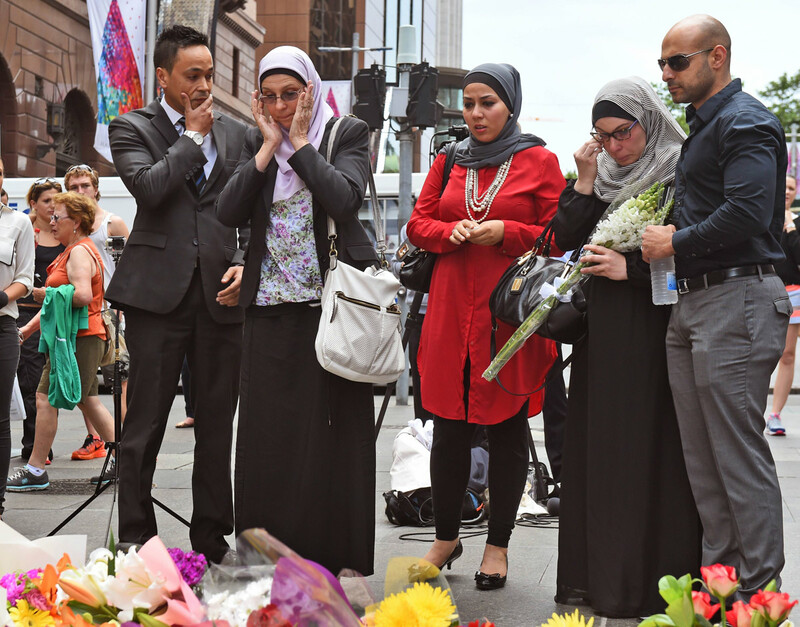 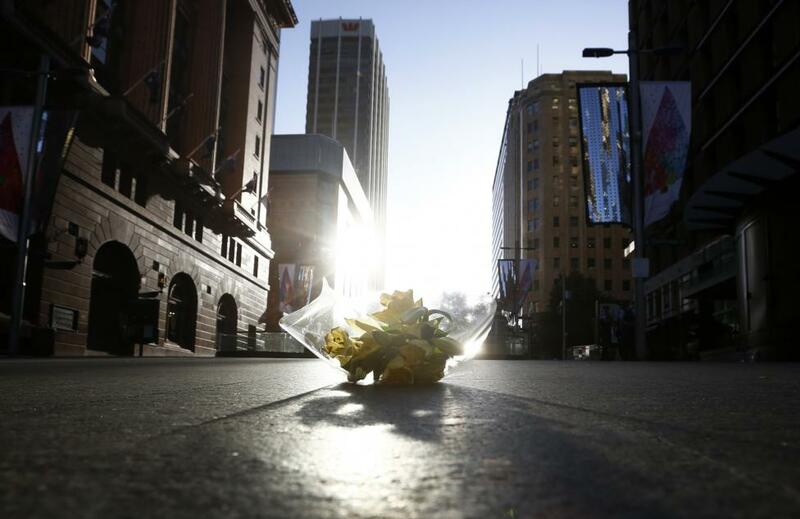 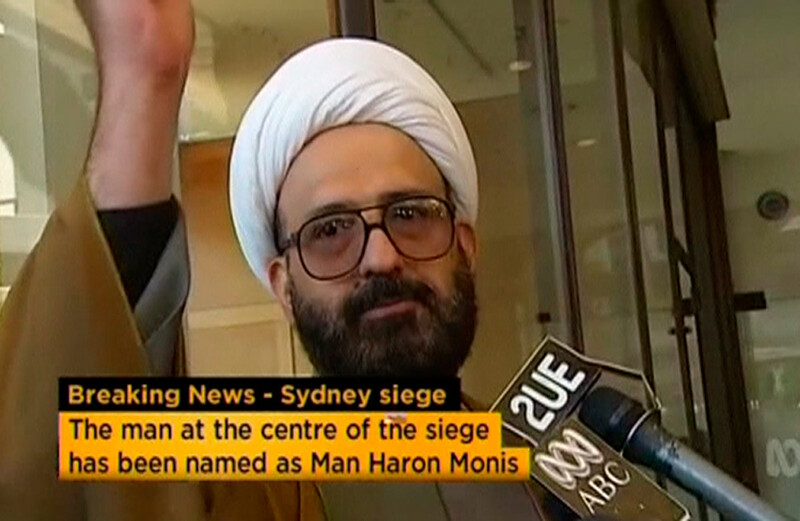 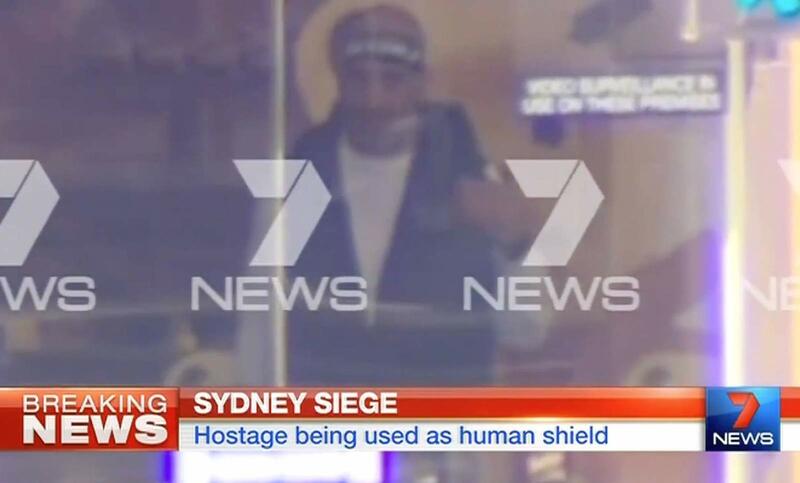 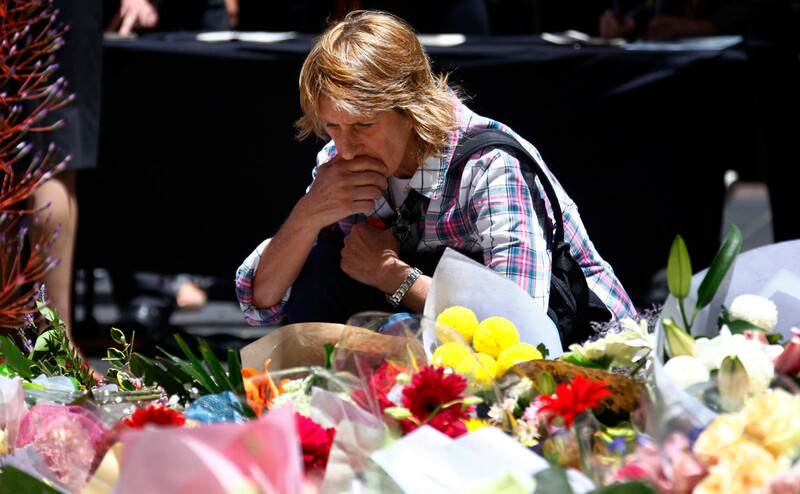 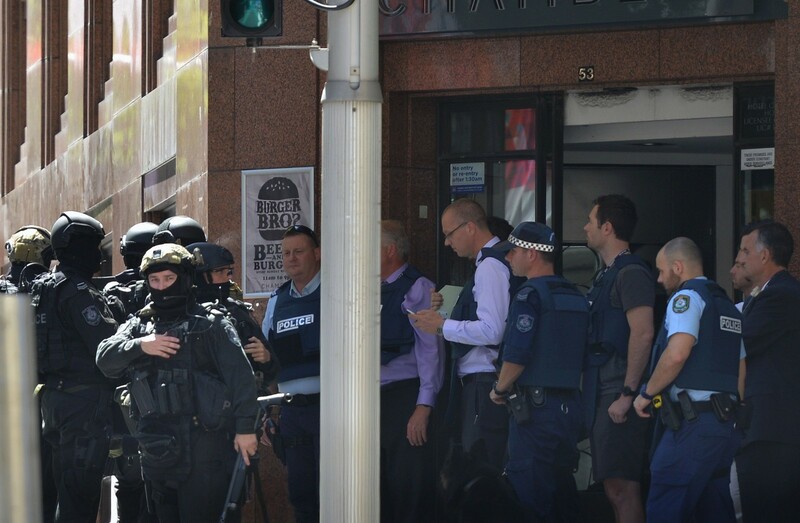 The gunman, widely named in the media as Iranian-born Man Haron Monis, also died in the siege while six people were injured.